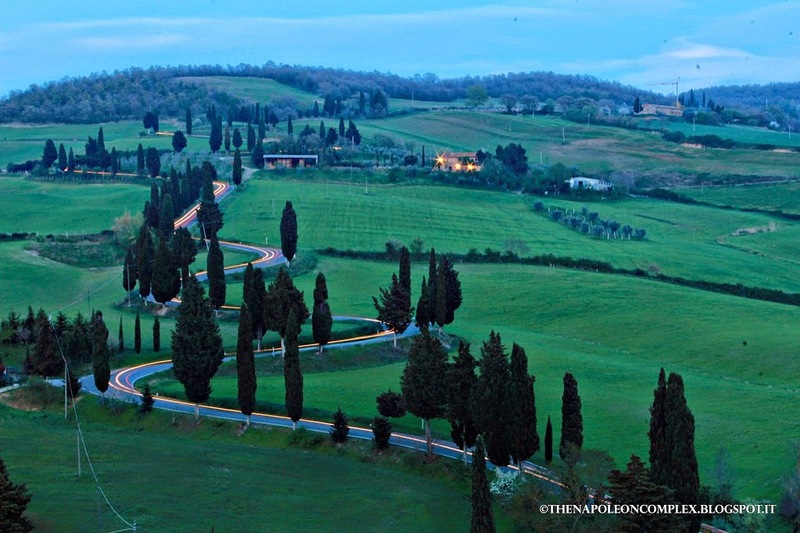 Presenting…Tuscany (And Our Adventure to find the Quintessential Winding Road)! 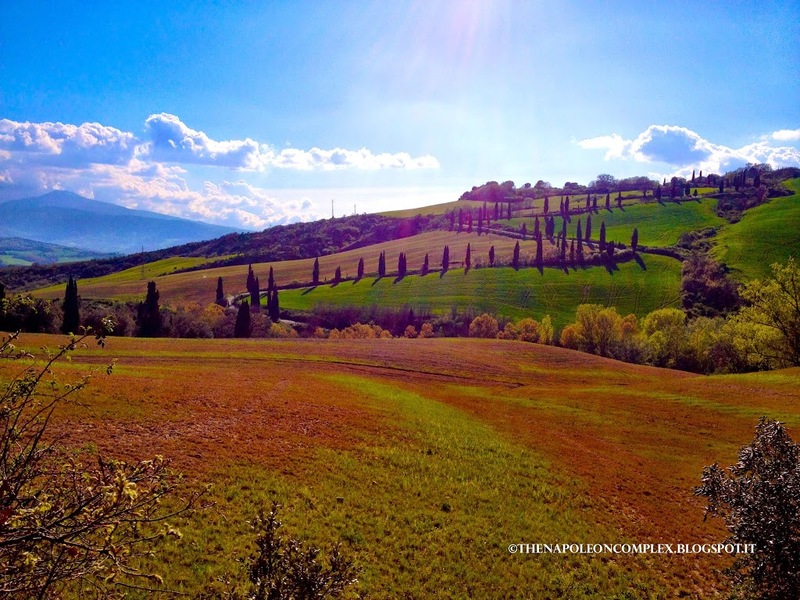 Last week we spent the entire week exploring Tuscany! 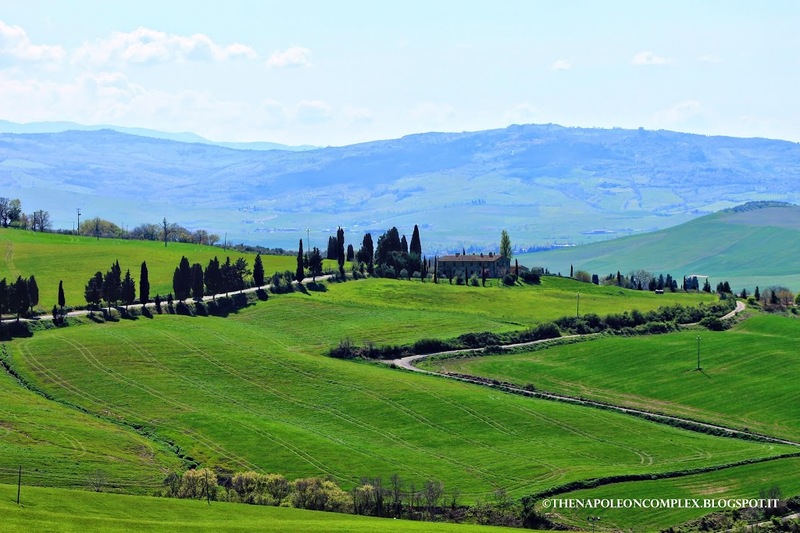 I had been anxiously awaiting to go to Tuscany since it is supposed to be one of the most beautiful places in Italy, but we put it off until Spring so that the flowers and trees could be in bloom. It definitely did not disappoint! 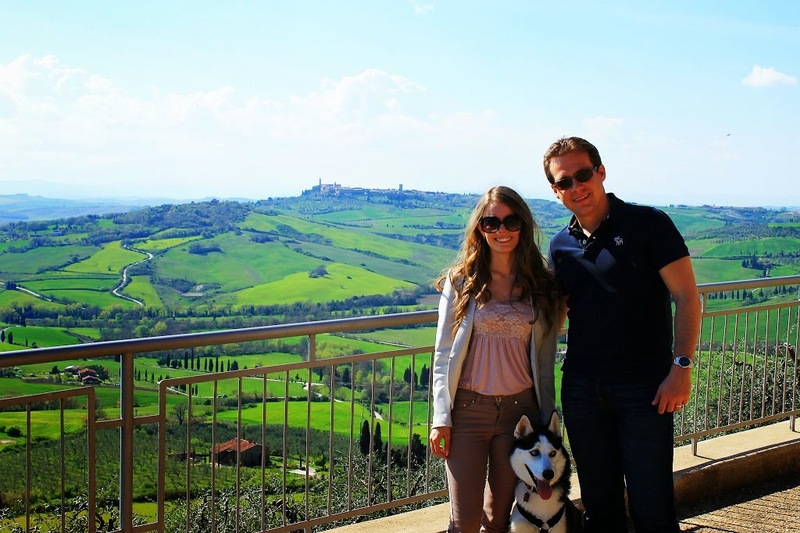 We arrived on a Saturday afternoon and stayed in an agriturismo a few kilometers away from San Gimignano. It ended up being a pretty good central location from which we were able to branch out in all directions to visit different towns and cities. Throughout the week, we were able to see San Gimignano, Siena, Florence, Montepulciano, Pienza, and Volterra. It seems like a lot, but pretty much every place except Florence you can maybe dedicate a day or a few hours and see everything (these are tiny towns, after all). A good starting point for this series of posts is the magnificent views. I had always wondered whenever I saw pictures of the beautiful green hills and bright blue skies if they were photoshopped, but now I know better. I have never in all my life seen grass that is greener or more beautiful. It is truly a photographer’s paradise. No need to photoshop this at all. 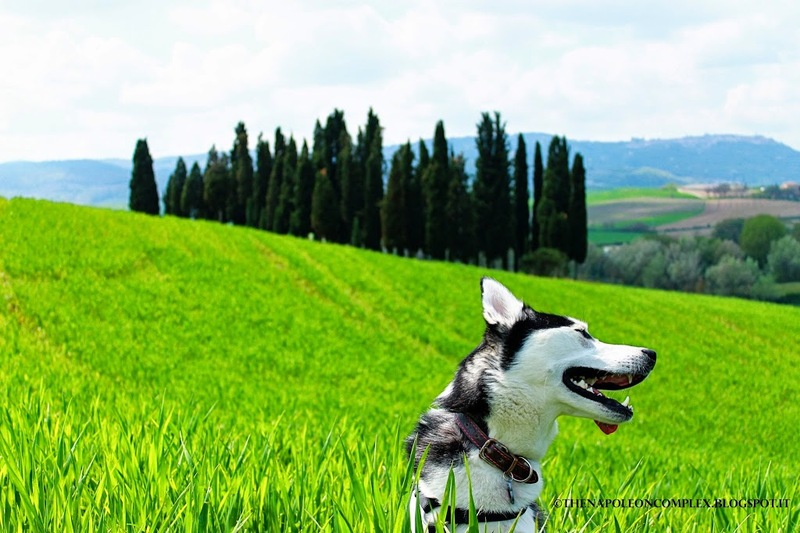 As you can see, Arya is just ecstatic to be enjoying some of that warm Tuscan sun. 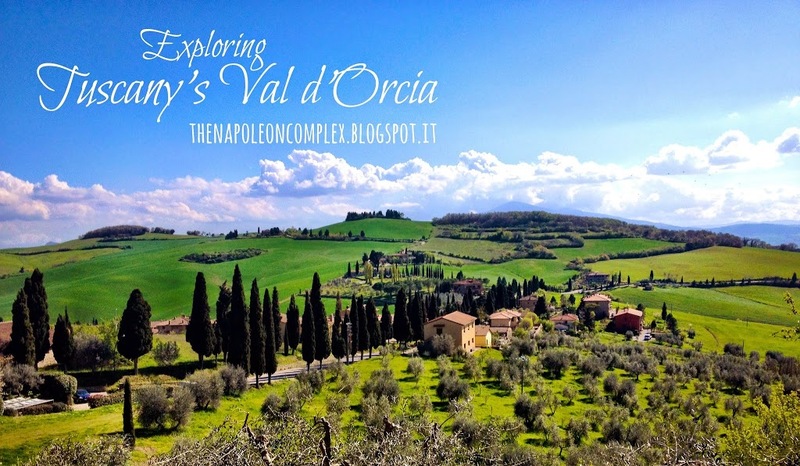 On the last two days, we headed out to the quintessential part of Tuscany called Val d ‘Orcia. 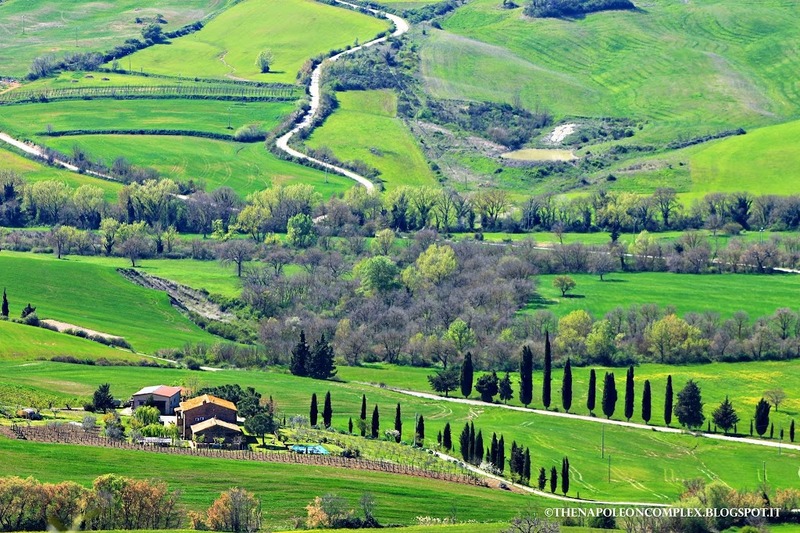 It is a UNESCO site and the location for most films depicting Tuscany. 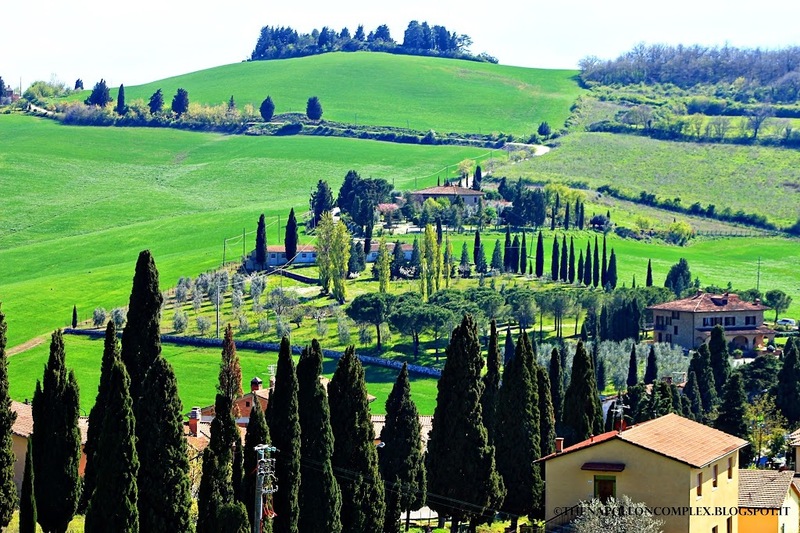 Val d’Orcia is also home to some of the most picturesque Italian towns like Pienza (also a UNESCO site) and Montepulciano. Of course, we were also on a mission. 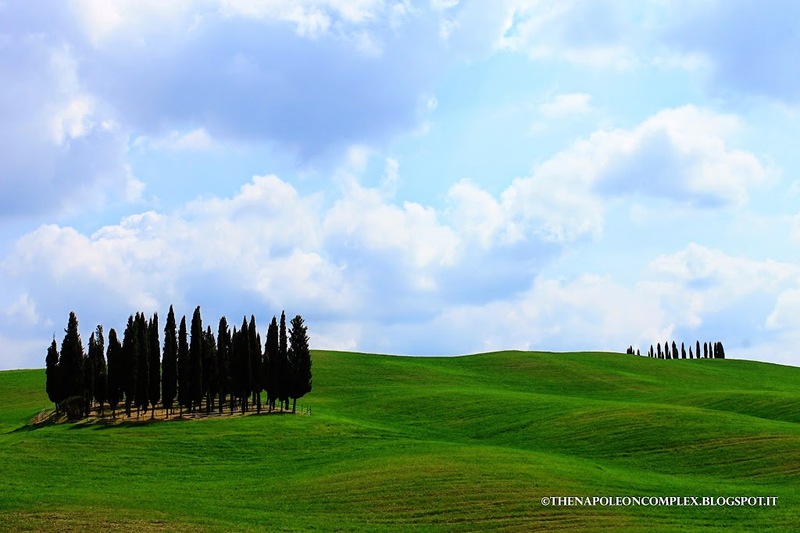 There’s a famous picture of Tuscany of a winding road lined with cypress trees. It’s in our guidebook (we use DK Travel’s Guidebooks for every country we go to) and it’s been in several movies like Letter’s To Juliet (that’s one I can remember off the top of my head). The problem was that for the life of me, I couldn’t find a detailed description of where exactly this road was. So on Friday, we packed a picnic and put Arya in her travel kennel and went on the search for the elusive winding road. Several blogs online talked about it, but some said you could see it from Pienza, some from Montepulciano, and some from a little town called Montecchielo. Luckily, these places are all within a few kilometers of each other, so it was all a matter of driving around and finding it before sunset (which was when Jaime wanted to take the picture). We arrived at Montecchielo first and I was so hungry that we found a little park and had our picnic before we did anything else. After, we took a look at some of the panoramic views but our winding road was nowhere to be seen. Jaime asked in a bar and we were informed that there was indeed a winding road close by, but there was also a more famous one a few kilometers away. So we got back in our car and started driving. We felt ourselves going up a winding road (we assumed this is the first one the lady at the bar was talking about) but kept going because we couldn’t get a decent view from the top of the hill. Somewhere in there is our winding road, I can feel it! We finally found the second winding road, pretty much exactly where the lady told us. Unfortunately we had to travel through a forest and lots of unpaved roads, which get Jaime really nervous about scratching his baby (the car). This winding road was indeed beautiful, but not the one we were looking for. The road was unpaved, whereas the one we wanted had real roads, and it was a lot wider than the one in the picture. Nonetheless, since we had been unsuccessful in finding the other one, we made plans to return at sunset to try to get pictures. In the meantime, we went to Montepulciano (pictures to come in a later post) and spent the afternoon walking around, eating gelato, and looking for Edward Cullen (Twilight reference, a past guilty pleasure of mine). At sunset, we drove back to our spot. Jaime snapped a few shots, but he was not satisfied. He wanted the real winding road, dammit! We climbed back into the car and started racing to Montecchielo, trying to beat nature before the light was completely gone. On the way, I was frantically looking on my phone (at 10% battery left, our life is like a movie) for any small clue as to where this place was. Finally, deep into the third or fourth page of Google that no one ever goes to, an article detailed that you would find the road as you approached Montecchielo from the south, right before you arrived on the right hand side. As we were on the home stretch into Montecchielo, I was desperately looking for this road until finally, right before the sign that signals the boundaries of Montecchielo, I saw it. But it was nothing like we had seen in the picture at least from our angle on the road. In fact, it was almost invisible unless you were searching, as we were, as if our life depended on it (our trip did depend on it, because that was the last sunset we would have in Tuscany). 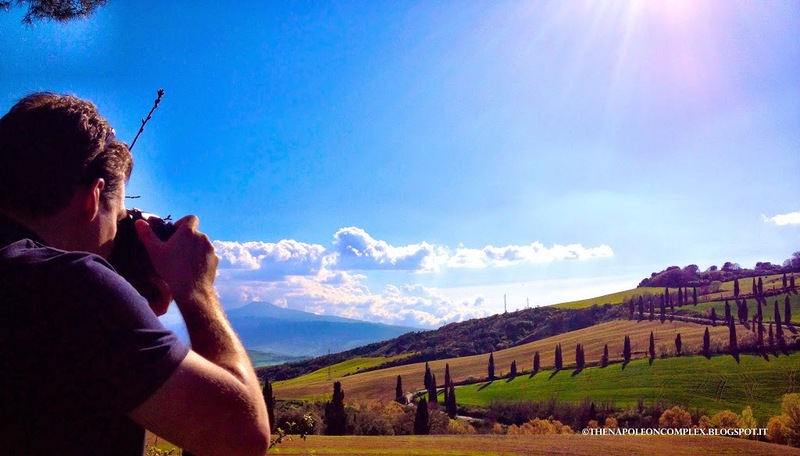 So Jaime trekked into the beautiful green Tuscan grass until he found the angle he was looking for and was able to finally get his picture *tears*. What an inspiring story of perseverance and success! As you can see, it was already deep into the “blue hour”, that time between sunset and night sky that photographers sell their soul for. Unfortunately, the sun was setting from behind where Jaime was, so the brilliant pinks and blues were actually behind him. Still, it’s a pretty great photo. UPDATE: Thanks to my amazing hubby, I was able to get the exact coordinates of where we took the picture. Of course, once I saw the map I feel even more dumb. We were taking the road highlighted by the green arrow and we saw the winding road (on the right) from where the red arrow is. We parked the car there and Jaime trekked to the coordinates and took his picture. Now, it’s clear that if we had taken a right at the unpaved road we would have had a clear shot of the road, possibly without having to trek across the grass. But now you guys don’t have to make the same mistake we did. We were under a lot of pressure from Mother Nature. 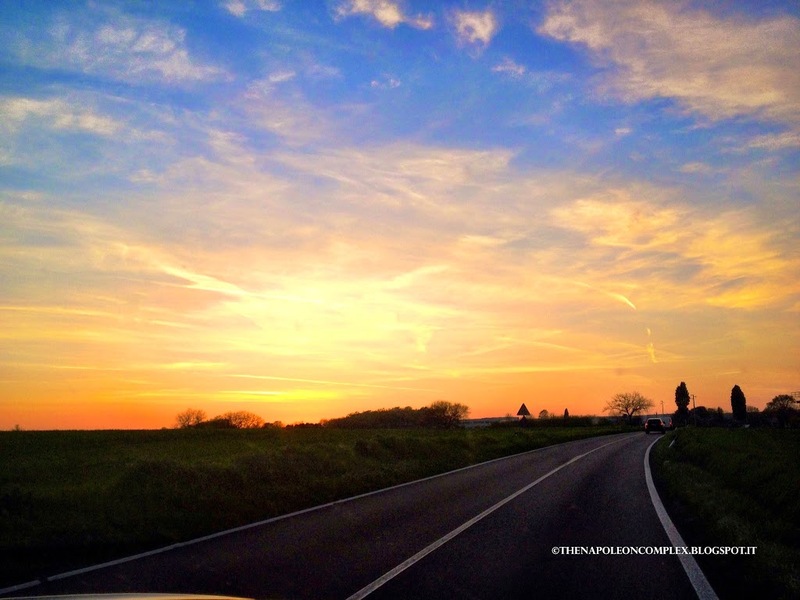 Fear not, because I wouldn’t leave you guys without a real photo of a Tuscan sunset. These were taken from my phone a day or two before. 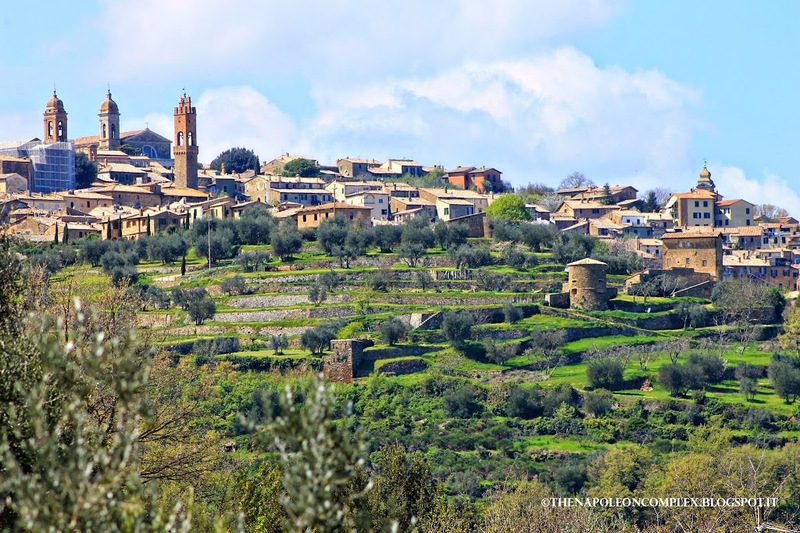 All in all, I think it is definitely worth it to rent a car and spend at least two days in the rural parts of Tuscany, or at the very least in the beautiful Val d’Orcia. It is a great break from the hustle and bustle of the big cities and the views are just unparalleled anywhere else in the world. 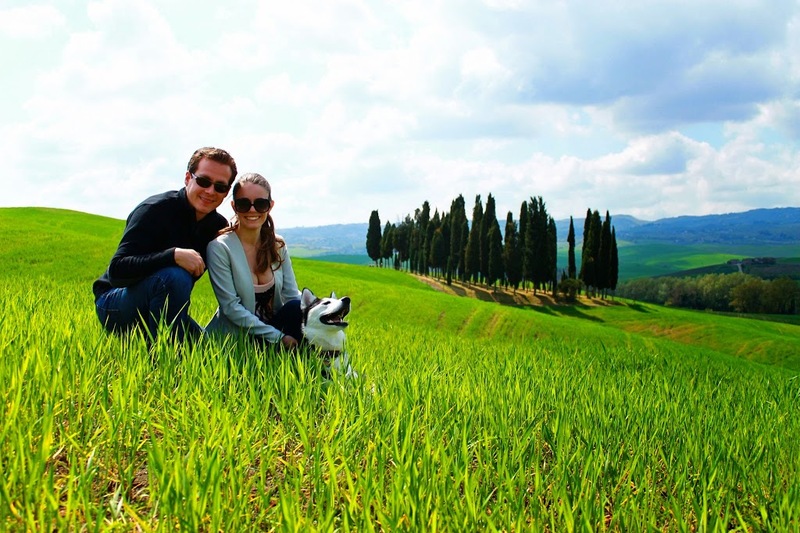 Stay tuned for upcoming posts on Florence, Siena, and the rest of the places we visited! This makes me want to go back more and more!